PIERS: PhotonIcs and Electromagnetics Research Symposium, also known as Progress in Electromagnetics Research Symposium, provides an international forum for reporting progress and recent advances in the modern development of electromagnetics, photonics and exciting applications. Topics include electromagnetic theory, photonics, plasmonics, metamaterials, antennas, microwave technologies, computational electromagnetics, electromagnetic compatibility, scattering, remote sensing, radars, radiometry, imaging, radiative transfer, inverse problems, quantum electrodynamics, quantum optics, material effects, acoustics, and all other modern developments. 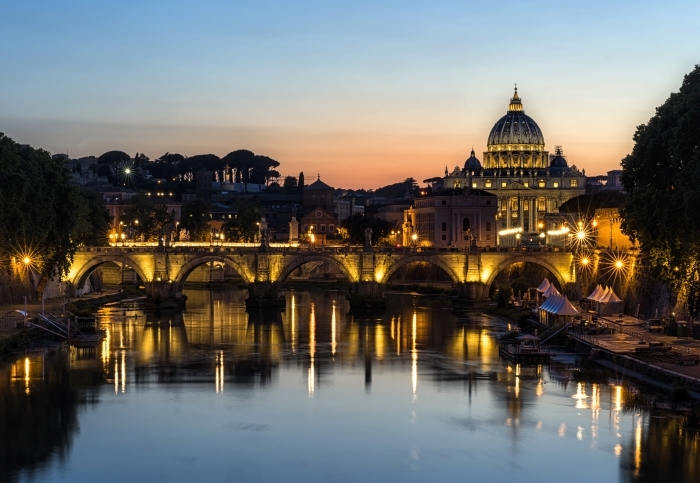 View of the Vatican and St. Pauls from the river Tiber in Rome.